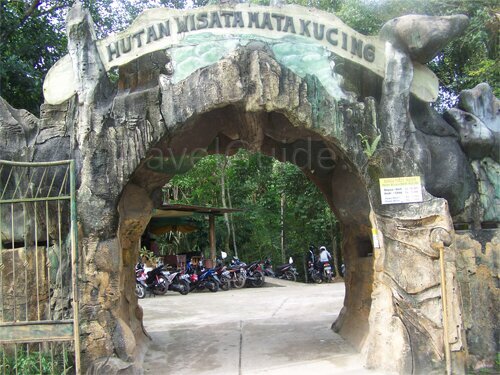 "Mata Kucing" Forest lies in an area of approximately 200 acres. 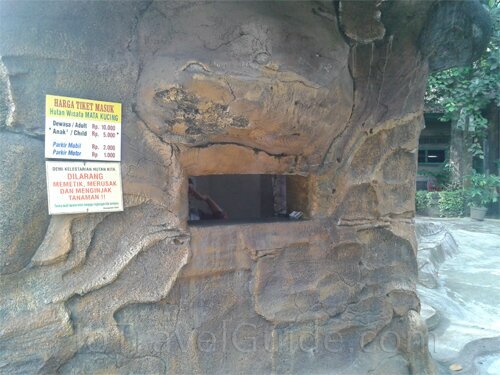 It is another tourism place in Batam that offers the beauty of a rain forest. 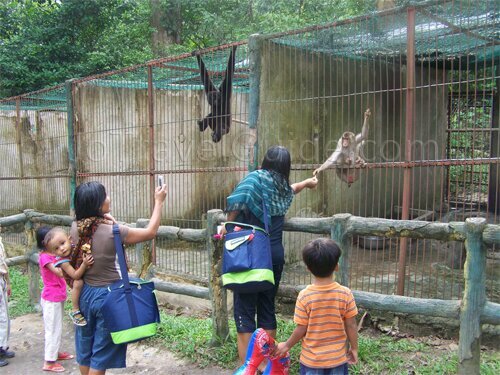 The forest was officially opened for tourism in 2003 and it has a variety of animals and plants within the forest, such as bears, arowana fish, birds, cats, monkeys gibbons, monitor lizards, etc There are more than 20 protected animals kept in Mata Kucing Forest and these animals are kept in a mini zoo in the area. Apart from animals, the forest has plenty of tropical plants and trees, and some are typical of Batam or Indonesia. For those who like adventures, exploring the protected forest area would certainly be a very attractive option. 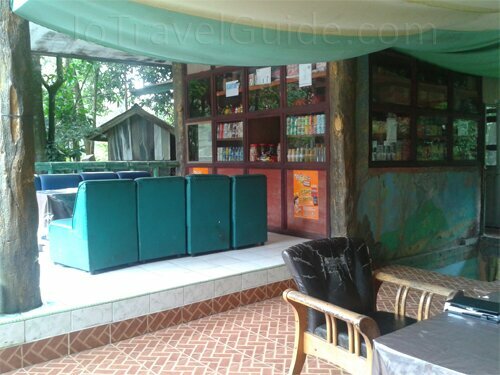 However, because Mata Kucing is considered as a natural forest, it is recommended to hire a local tour guide to accompany you when tracking the jungle. A local guide may be required to lead you through the jungle, as well as better understanding of the jungle situation (eg. wild animals such as snakes and wild pigs). 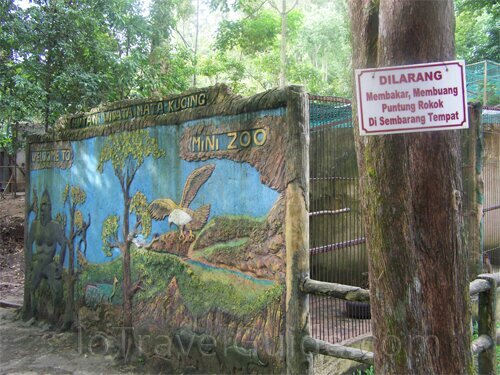 Total expedition time in Mata Kucing Forest is about 4 hours (a round trip, which is estimated time to walk leisurely). 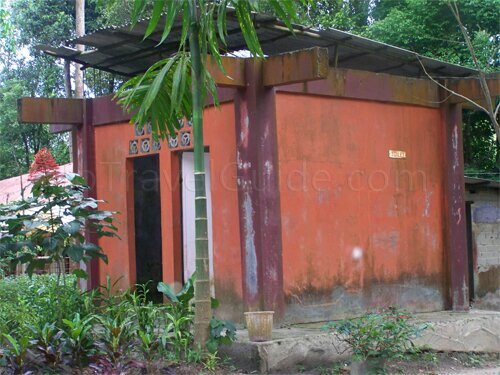 Click the picture above for more and bigger photos of Mata Kucing Forest. 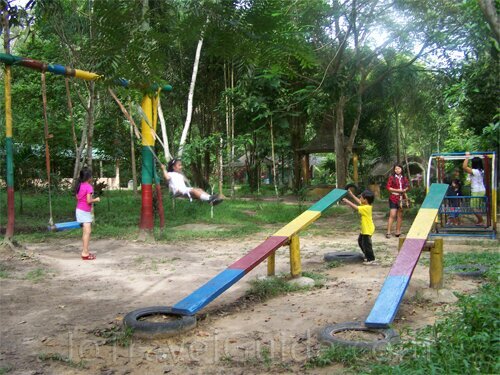 A simple playground is provided for visitors who bring along their children. Or maybe try your luck to see a flock of large arowana fish (about 1 meter long) in a pond near the cafeteria. Local people believe that if a large arowana fish is presenting itself to you, then the luck will be on your side. Besides arowana fish, the pond has alsoalligator fishes, tiger catfishes, etc. There is a suspension bridge over the pond that can test your adrenaline when crossing the pond that has giant fishes! Near the pond, there are small size pavilions or gazebos, provided for the visitors to rest. It is advisable to apply anti-mosquito lotion and wear long pants to avoid mosquito bites. Mata Kucing Forest has so far been visited by various groups, ranging from young children to family, both from domestic and foreign countries, such as Malaysia, Singapore, the United States, France, Australia, and Japan. Remarks : cash payment only. For a tour guide reservation, it is suggested to make a prior arrangement with them at least 3 days before the arrival date. 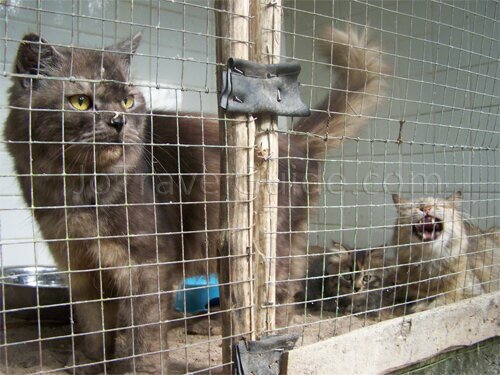 It is dirty and a terrible place for animals. It is cruel the way they keep animals here. People are reining bottles at the crocodiles and stones to the monkeys. This is a big disgrace!